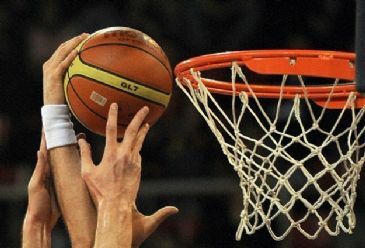 ANKARA - NBA's three-day midseason exhibition, the NBA All-Star 2015, will begin on Friday with basketball fans enjoying skill contests such as the three-point and slam dunk events, the NBA All-Star match and NBA All-Star Celebrity Game. Taking place in Madison Square Garden in New York and Barclays Center in Brooklyn the exhibition will tip off with the NBA All-Star Celebrity Game on Friday at 7 p.m. Eastern Time (0000 GMT on Saturday). New York Knicks power forward Carmelo Anthony and U.S. film director Spike Lee will be the coaches of the celebrity teams composed of important figures of basketball and TV such as Kevin Hart, Common, Nick Cannon, Allan Houston, Chris Mullin, Michael Rapaport, Kristen Ledlow, Abhishek Bachchan and Tina Charles. The event will end with the 64th NBA All-Star match on Sunday. Eastern Conference All-Stars will meet Western Conference All-Stars, tipping off at 8:30 p.m. ET (0130 GMT on Mon.) at Madison Square Garden. Starters of the Eastern Conference All-Stars will be John Wall (Washington Wizards), Kyle Lowry (Toronto Raptors), LeBron James (Cleveland Cavaliers), Carmelo Anthony (New York Knicks) and Pau Gasol (Chicago Bulls). Jeff Teague, Al Horford, Paul Millsap, Kyle Korver (Atlanta Hawks), Chris Bosh (Miami Heat), Jimmy Butler (Chicago Bulls) and Kyrie Irving (Cleveland Cavaliers) will be the reserves. Meanwhile Western Conference All-Stars' starters will be Stephen Curry, Klay Thompson (Golden State Warriors), James Harden (Houston Rockets) and Marc Gasol (Memphis Grizzlies); the fifth player will be decided. Reserves of the West will be Kevin Durant, Russell Westbrook (Oklahoma City Thunder), LaMarcus Aldridge, Damian Lillard (Portland Trail Blazers), Dirk Nowitzki (Dallas Mavericks), Chris Paul (Los Angeles Clippers), Tim Duncan (San Antonio Spurs) and DeMarcus Cousins (Sacramento Kings).